Pre Theatre Restaurants & Set Menus. The pre-theatre meal is just as important as the show itself as you may have pre-booked the show months in advance, plus you may be personally responsible for the evening if you are booking for a group of friends so hopefully our quick reference guide will help. 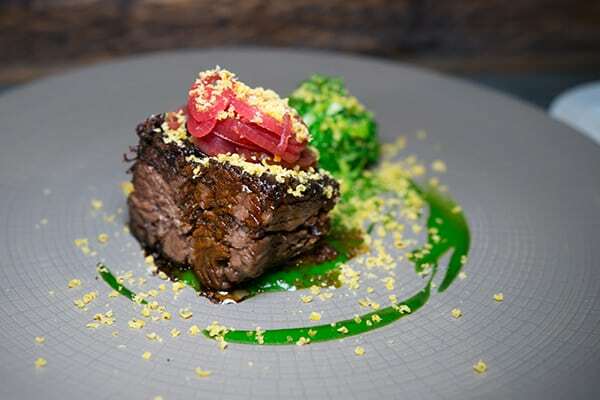 Centrally located, this popular independent restaurant features in our top ten restaurants in Brighton and Hove, boasts a number of awards, and has some very excellent reviews. The menu is inspired from different regions of India. In fact, the owners frequently visit India to research and discover new dishes and fresh inspiration. 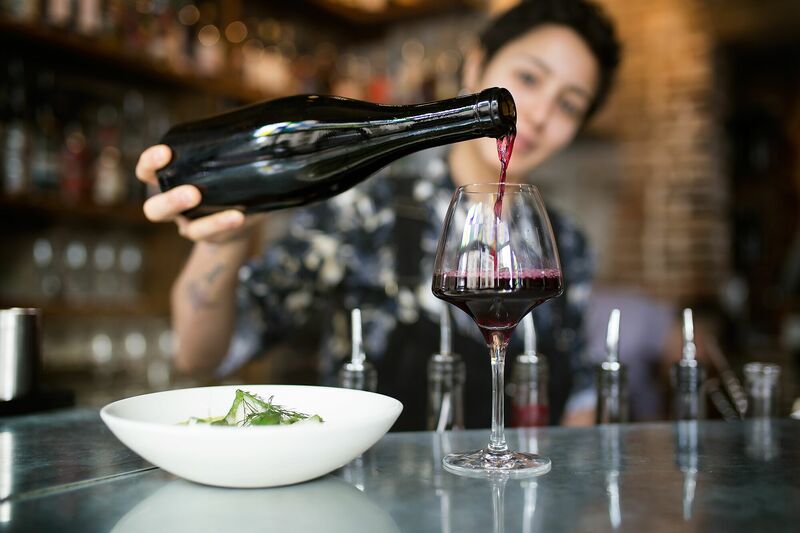 Modern European sharing plates, natural wine served by experts and classic cocktails – Plateau has it all. Sit at the bar sipping the ‘King’s Jubilee’ a mix of 5yr old Rum with maraschino and lemon for a simple but classy pre show tipple. Why not arrive early enough too enjoy some some of the small plates too? Our favourites are the Sardinian Coppa and Heritage tomatoes! Award winning bàcaro restaurant, Polpo, takes you to Venice with it’s authentic food, wine and surroundings. Bàcaro is a Venetian word to describe a humble restaurant serving simple food and good, young Italian wines. A perfect spot for some pre-theatre dining being practically next to the Theatre Royal! 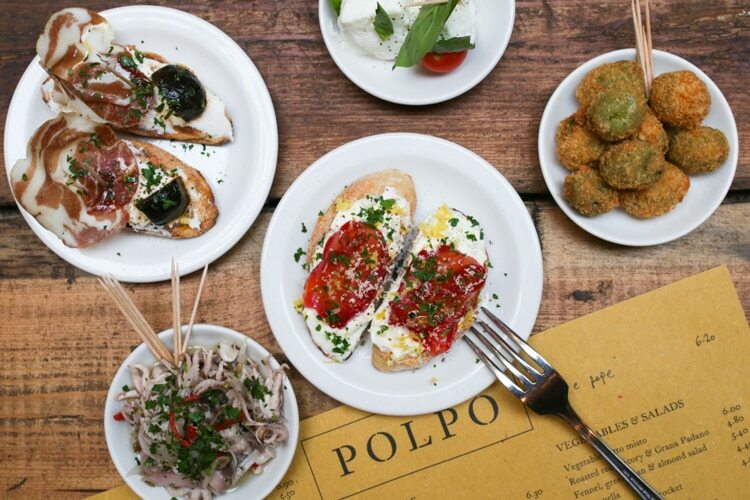 Think authentic Venetian finger food, small plates to share and tempting deserts, accompanied with an Aperol spritz or Polpo’s own Prosecco. Independent Bistro in the heart of the North Laine, Mange Tout, is a great choice for a pre show dinner option and only a 10 minute walk from the theatres. A French inspired menu focuses on fresh and quality ingredients all served alongside wine from an all natural list. We recommend a citrusy and crisp glass of sparkling wine from the Loire to start your evening, followed by their fantastic pre-theatre set menu (available Thursday-Saturday evenings from 6-7pm). The Oki Nami Japanese restaurant is one the longest standing Japanese and Sushi restaurants in the city of Brighton and Hove and will offer you a complete authentic oriental dining and drinking experience. 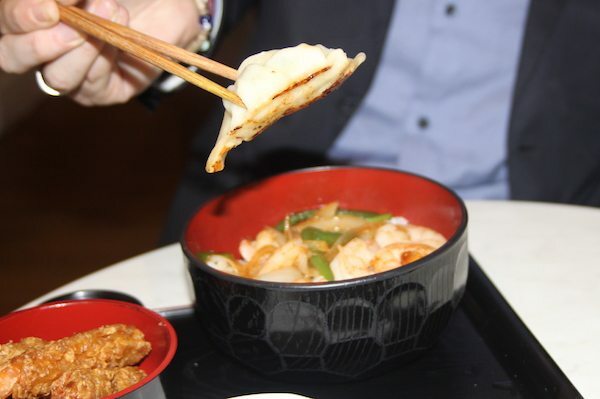 Oki-Nami offer a set menu starting at £18.95. If you don’t fancy a sit down meal, try one of their creative cocktails upstairs with some Japanese nibbles. The concept is quite unique, take a real charcoal Josper oven, use the freshest and best quality ingredients you can find then cook the ingredients to perfection! Pre Theatre menus available Mon- Fri 12 – 4pm, then Mon – Thurs 6-7pm. 2 Courses £15.00, 3 courses £17.50. 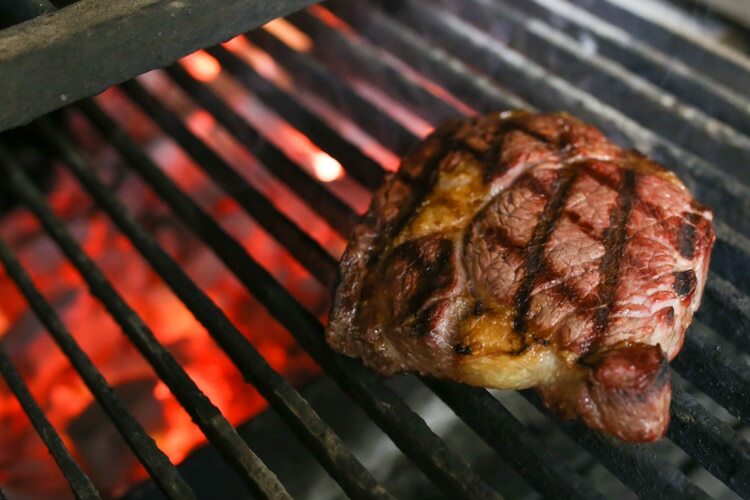 Try their minute steak with beef dripping chips. 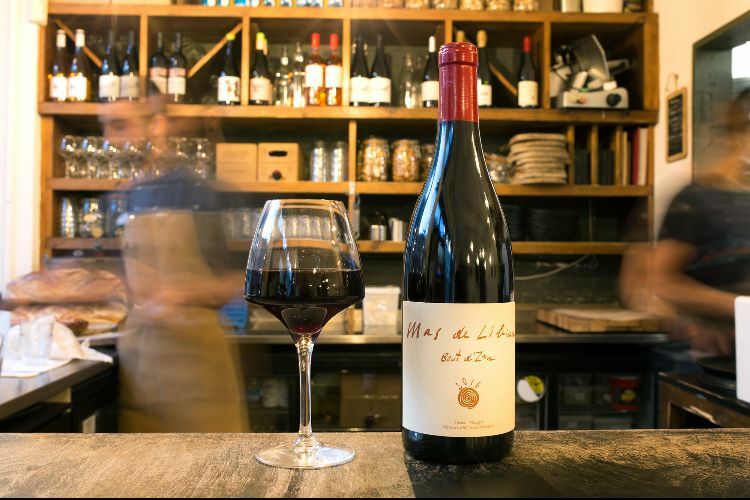 Located in Brighton’s Kensington Gardens, L’Atelier Du Vin is the perfect spot for a little pre theatre class. With low lighting, exposed brickwork and a jazz inspired soundtrack you feel as though you have walked onto the set of a 1920’s movie. 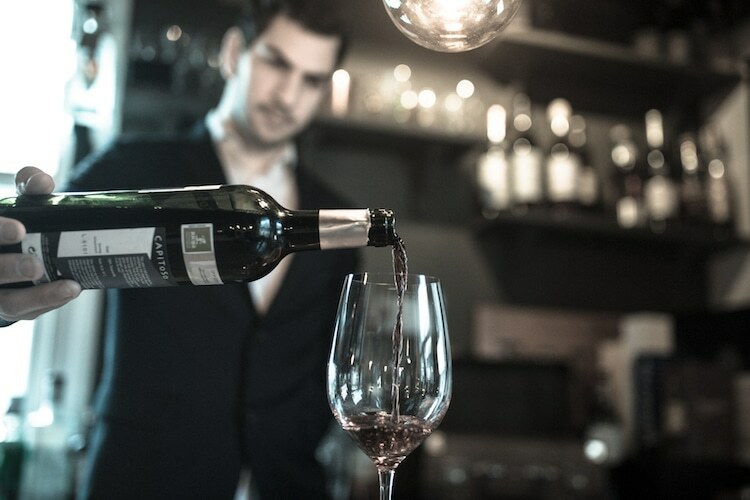 By using Coravin technology, L’Atelier Du Vin are able to offer exceptional wines by the glass; wines that would normally only be available by the bottle and we think this is the perfect way to treat yourself before sitting down at the theatre. Ten Green Bottles is a classy and informal wine bar/shop located opposite Jubilee Square, just a short hop down from the Theatre Royal. Ten Green Bottles stock a huge selection of popular and rare wines which you can chose to drink in for a small corkage fee. 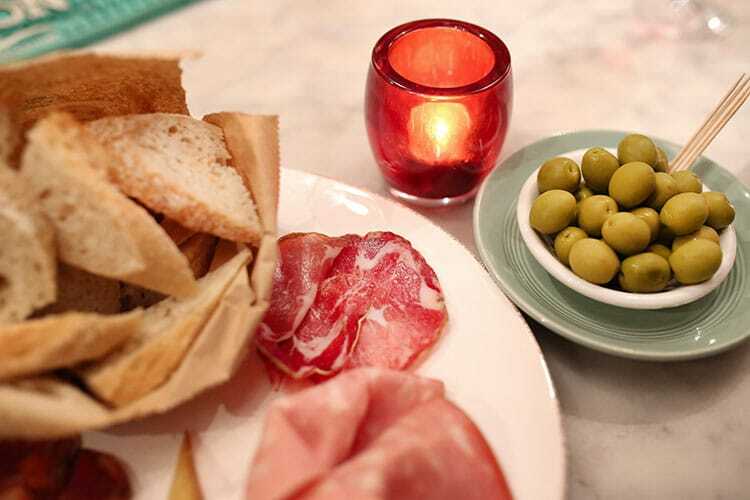 They serve lovely platters of cheeses and charcuterie, mixing Spanish meats with both local and European cheeses. The perfect spot for a drink, nibble and catch up before a show. Snacks, small plates & natural wine available for a light bite before your show. Vegetarian restaurant, Terre a Terre is centrally located on East Street and offers a variety of pre-theatre dining options, including the Terre a Verre menu (tapas, chips and a carafe of wine for £25 per person – served in multiples of 2) and plenty of afternoon tea options for those after a sweet treat. Open all day, it’s a great spot to drop in before your concert or show. 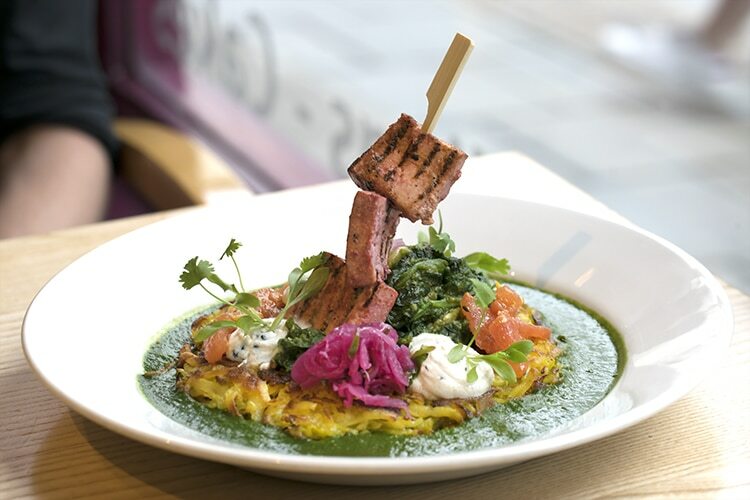 Join Indian Summer for a real Indian food experience before the theatre! 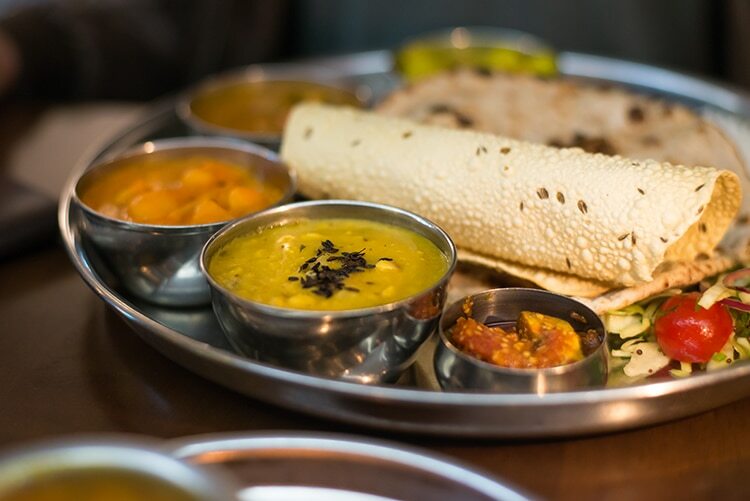 Serving their popular west Indian Thali dishes, a perfectly balanced meal which gives you the opportunity to taste many Indian dishes at one sitting. Choose from the Royal Vegetarian, Meat or Prawn Thali at a very reasonable price, served Sunday – Thursday 6pm – 7pm. Befries have shown us the light, and that light is crisp, fluffy and covered in sauce. Hand chipping the best potatoes available and double frying them to create the best chips you’ve ever eaten. These would be fantastic on their own but when combined with one of their 20+ sauces you have got a match made in heaven! 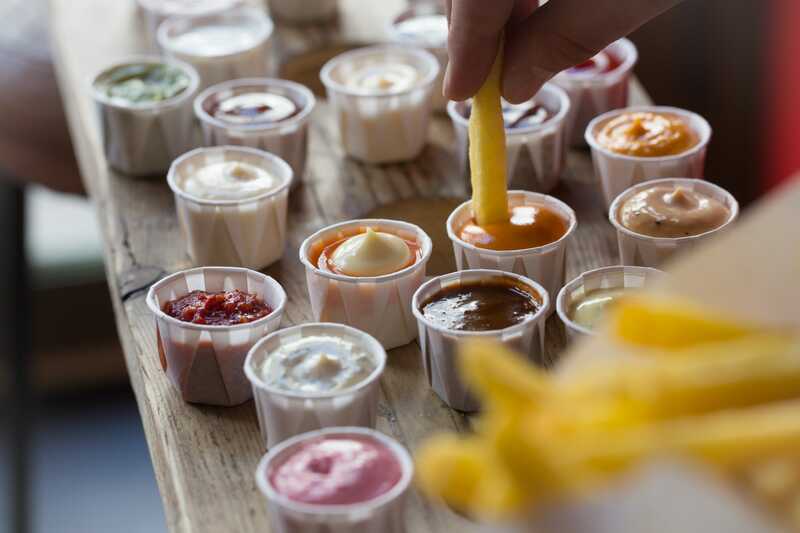 A short walk from the theatre, satisfy you tastebuds with the best chips in town. 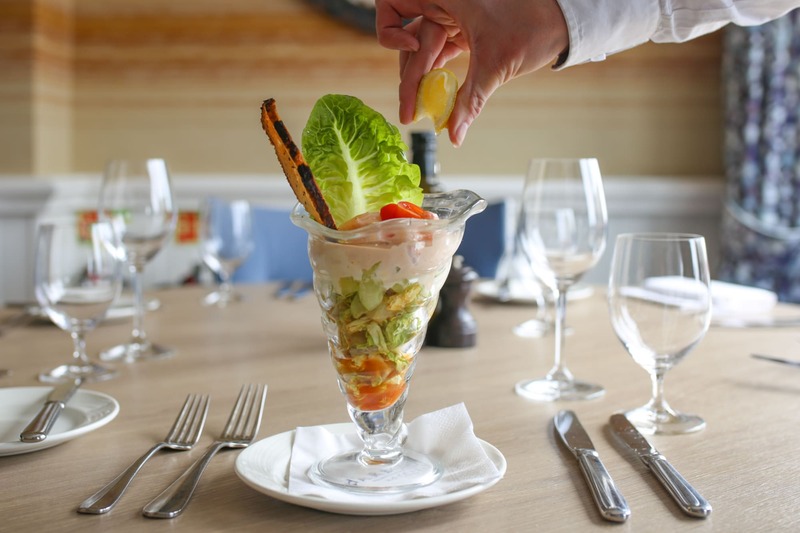 Browns restaurant in Brighton serves an excellent range of dishes and drinks and their menus include standard A La Carte, Lunch (2 courses £11.95), Afternoon tea, a Children’s menu, a Dessert menu and their superb daily changing specials. The Browns Bar is also a great venue for bar snacks and cocktails. 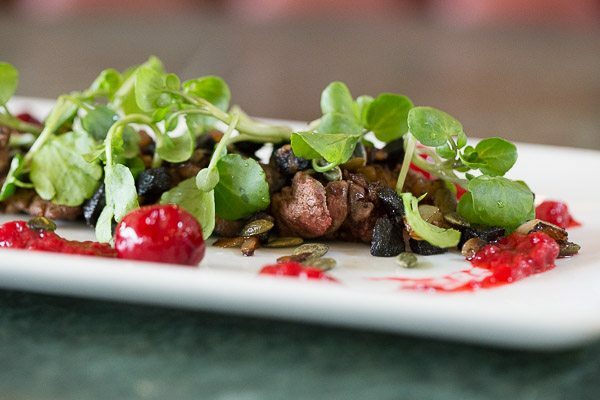 The Jetty prides itself on using locally sourced, seasonal and fresh ingredients. 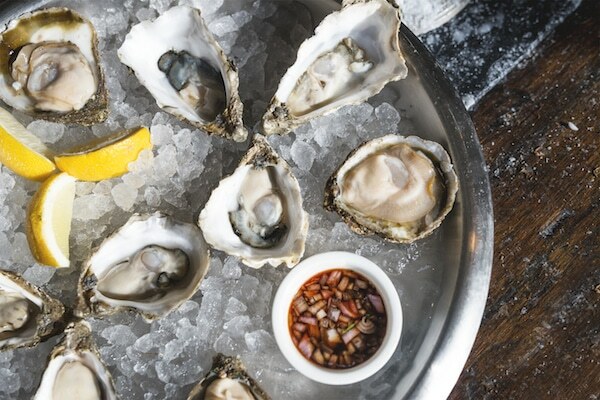 Seafood features heavily on the menu, but there are plenty of other options for foodies with different set menu options ranging from 2-5 courses between 6-7pm Monday-Friday. The 2 course set menu is priced at £12.75 and there’s an Afternoon Tea menu prices at £15.95 per person. 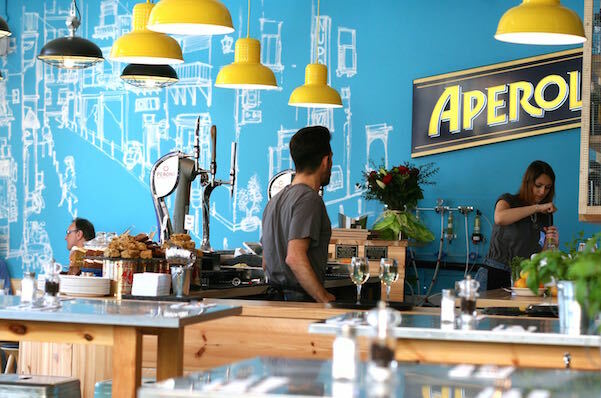 Serving you a slice of Naples on Brighton’s West Street, Nuposto Italian restaurant brings you the real deal Italian pizza with all the smells of authentic Italy. Ideal for a quick bit pre or post theatre. 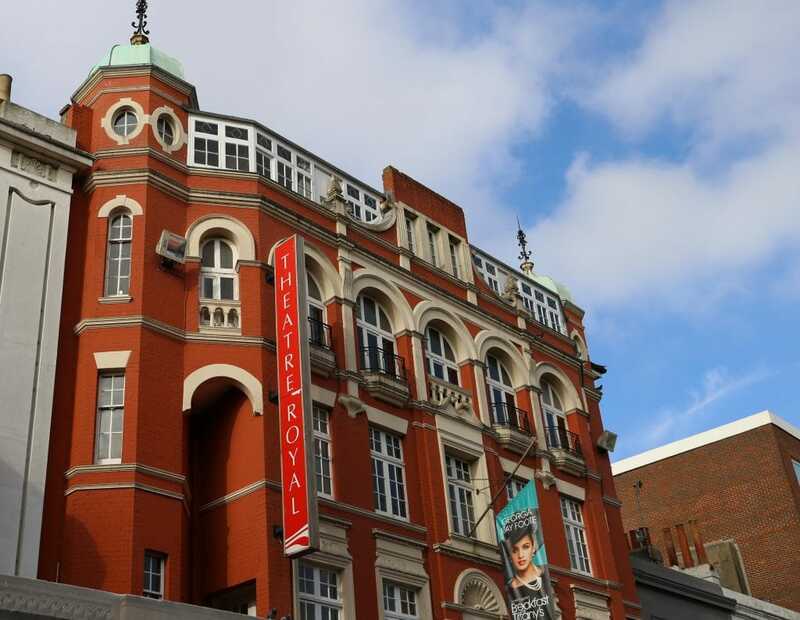 Nuposto is also an ideal venue if you are visiting the Odeon on West Street. Pizzas starting at £5.50 for the authentic real deal pizza from Napoli. Walking distance from the theatre and beach, reasonable prices & authentic flavours. The Jolly Poacher on Ditching Road have an early evening menu 6-7pm which is perfect for pre theatre. 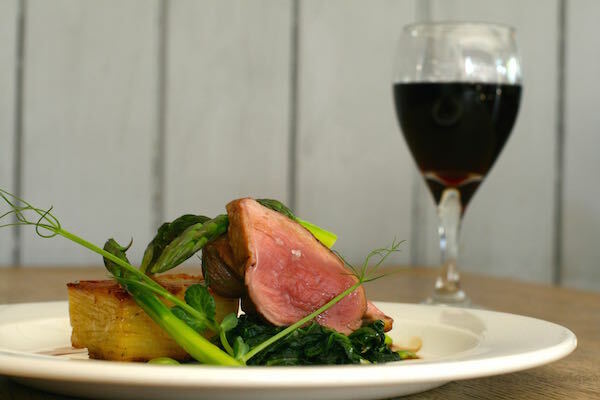 With its great quality Modern British Cuisine and its friendly and efficient approach, The Jolly Poacher has been a consistent performer since it launched to go and it is well worth a visit. Also great for the Duke of York cinema just down the hill. Hailed by the Guardian as “Food-wise, the most exciting thing to hit Brighton for years, if not ever” 64degrees is the go to social dining hotspot. Conceived by chef and owner Michael Bremner, formerly of 2AA Rosette restaurant Due South and Food for Friends Brighton restaurant of the year 2012. Renowned as a venue for many an occasion, Al Duomo is centrally positioned right next to the historic Royal Pavilion and it caters for small and intimate, while also having the capacity for the grand and the elaborate. Amazing value at £10.95 for 2 course or £13.95 for 3 courses and of of the best Italian restaurants in the city. 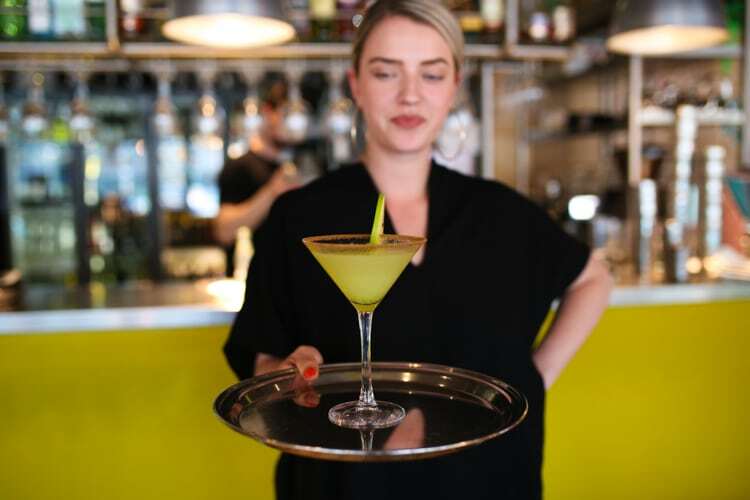 Riddle and Finns is in a wonderful discreet side street called Meeting House Lane, off Brighton’s North Street and it is situated within Brighton’s famous Lanes. Riddle & Finns offer a set menu which changes daily. 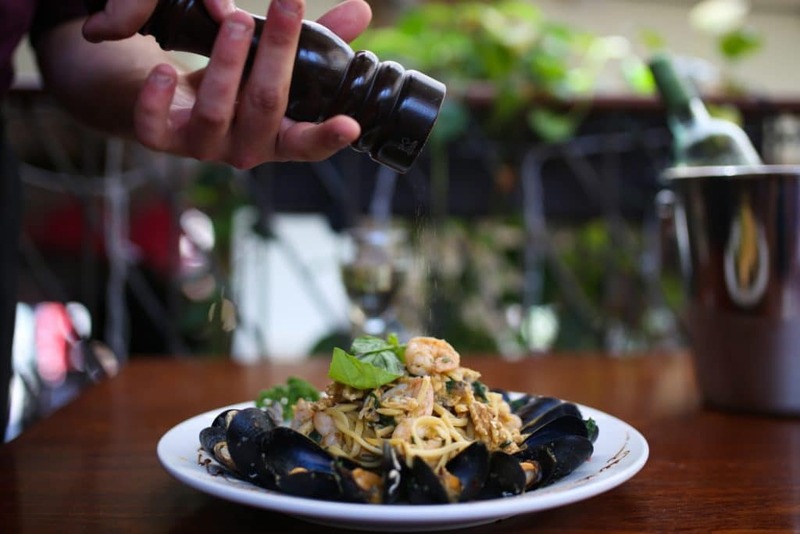 Pre theatre dining is available at both restaurants from 12 – 7pm Mon – Fri. Riddle & Finns is all about classic seafood dishes, marble topped tables, candelabra and chandeliers. Pompoko’s reputation amongst Brighton locals, for fast, yummy and incredibly good value grub means that there is hardly ever a quiet moment at this super busy pre theatre venue. Pompoko is not an intimate dining experience, and be prepared to sit very close to other diners to get a seat quickly. Pompoko will serve you up a great meal in no time at all, and with all mains for under a fiver, it really is great value for money. •Please check with each of the individual restaurants listed, to ensure their set menu offerings are still in place and you have the correct timings for their pre theatre and set menus. Pre theatre menus are typically served 12-4pm and then 6-7pm.